We all know the lyrics to the song by Brian Holand “It was an itsy bitsy teenie weenie yellow polka dot bikini…” and unlike the girl in the song, we do not want you to be afraid to come out in the open! Thinking about making a change? We spoke with Naomi Horton about her decision to have a breast augmentation with Dr. Rumsey at Ponte Vedra Plastic Surgery. Why did I decide to have a breast augmentation? Unfortunately in my family none of the women were blessed to have anything more than an “A” cup. I lived my entire life wearing padded bras and padded swimsuits. I am a fairly thin person who doesn’t have that hour glass shape so to be completely flat chested as well, really affected my self-confidence. I never felt very feminine in my clothes as they did not fit the way I wanted them to. How long had you been thinking about getting surgery before you made your first appointment? Right after puberty once I realized my breast were fully developed I started thinking about plastic surgery. Many of the females in my family have breast augmentations. It was kind of a joke in our family that if any of the women want breasts then they would have to purchase them. I waited until my thirties to have my breast augmentation, as I wanted to get past my baby bearing years. How did your consultation go? I met with Dr. Rumsey at Ponte Vedra Plastic Surgery and he was absolutely fabulous. He had the best bedside manners and I knew immediately that he was going to be my surgeon. He was extremely thorough and explained the entire process. He showed me where the incisions would be made, determined that the implant needed to be placed under my muscle since I did not have a lot of breast tissue. He explained the difference between the three types of implants that PVPS offered. He also recommended an implant that would look the most proportionate on me. The exciting part of the consult was that I got the opportunity to try on sizers. Plus they had a computer simulated program called Crisalix that I was able to download a few pictures of my breasts and actually see what the different size implants and shapes would look like on me. I decided to go with the round silicone gel, high profile 325CC. How was your recovery time? My full recovery took about six weeks and I thought the actual surgery was a piece of cake. I had my surgery on a Wednesday and I was back to work that following Monday. I had never been under anesthesia before so I was a little apprehensive about that however, once I met my anesthesiologist and knew that he was Board Certified and would be in the operating room monitoring me the entire time I felt at ease. I had no complications from the anesthesia at all. The recovery room nurses were so compassionate, which added to the ease of the procedure. The main things I had to watch were weight restrictions. I couldn’t lift any more than 10 pounds for the first two weeks and no more than 20 pounds from week two to six. At the six week mark I returned to normal activity and exercise. How did the results of your surgery change the way you feel about yourself? It has been four years since my breast augmentation and they are still absolutely my favorite body part. I feel so much more feminine and my clothes finally fit like they are supposed to. I haven’t bought a padded swim suit or bra since and it is so liberating. My breasts look so natural, like I was born that way. The best part is no one would ever know I had a breast augmentation unless I told them. The decision to have a breast augmentation has given me the confidence that I lacked. Did you tell your friends and family about your plans to move forward with the surgery? What kinds of reactions did you receive? I definitely told all my friends and family about my decision to get a breast augmentation. None of them were surprised by my decisions because I had been talking about it for years and I have always complained about my flat chest. They were all very supportive and encouraged me to do whatever I wanted to do to feel better about myself. After I got my breast augmentation my sister and cousin were soon to follow after they saw my amazing results. What about the cost? The cost was very affordable and customized to me. It is based on the amount of time you will be in surgery and the type of implant that is selected. The cost was all inclusive, so it included anesthesia, facility fee, the surgical bra that I was supplied and all of my follow up appointments. I was also offered finance options with Carecredit and Alphaeon. What would you say to someone who has been wanting to make a change in their appearance but is still on the fence about it? 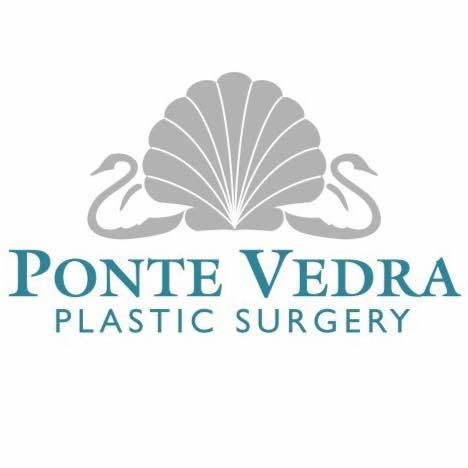 I would advise them to schedule a consultation with one of the six Board Certified Plastic Surgeons at Ponte Vedra Plastic Surgery. Together the surgeons have over 130 years of experience. The consultations are so thorough and detailed that after I finished mine I could not wait to have the breast augmentation. Dr Rumsey was so informative, compassionate and professional. He put all of my apprehensions at ease and I knew right then that I had made the right decision and had chosen the right surgeon. Where can someone go to learn more about breast augmentation surgery? I had my surgery at Ponte Vedra Plastic Surgery and I am thrilled with my results. You can learn additional information about this procedure and flip through the before and after photo gallery at www.pvps.com. The America Society of Plastic Surgeons is also a great resource for learning additional information and finding a doctor www.plasticsurgery.org. Summer time is here and if you are having bikini blues…. Call us today to schedule a consultation with any one of our Board Certified Plastic Surgeons at (904) 273-6200.